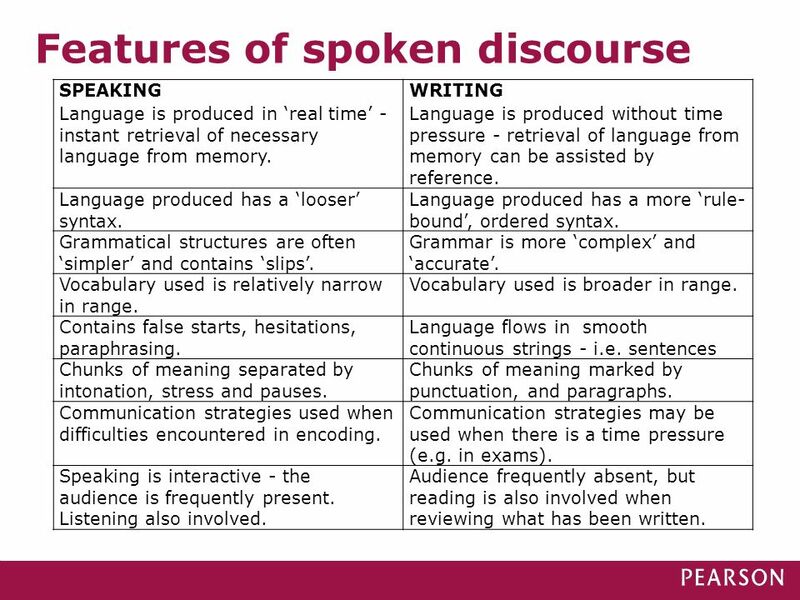 2 1 What kind of language is involved in spoken discourse? 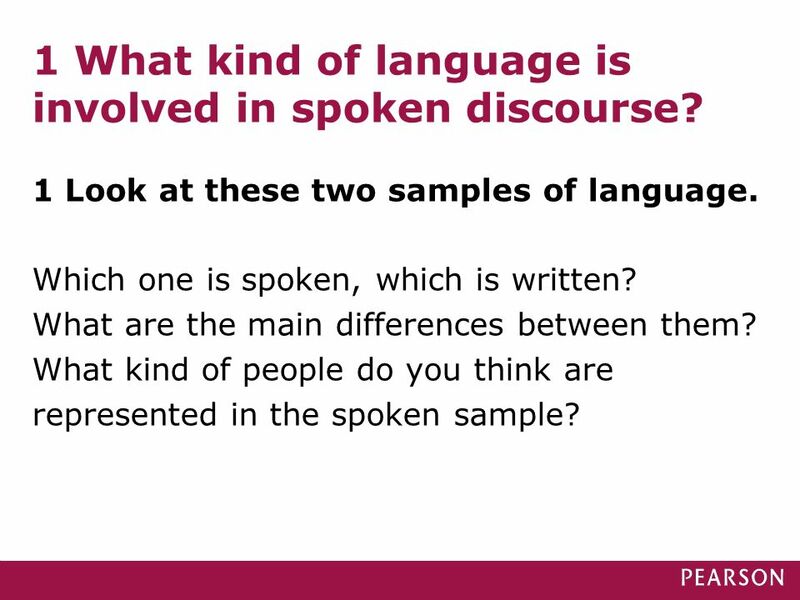 1 Look at these two samples of language. Which one is spoken, which is written? What are the main differences between them? What kind of people do you think are represented in the spoken sample? 3 G: I watched that film last night + remember that - did you see it H: no I’m afraid I didn’t - haven’t got a television + what was - G: it’s eh + it was about eh + the assassination of + President Carter + I think it was H: mm G: aye it was him and you saw it it was a good film + I watched it all H: what happened in it G: well eh you just saw the ashassina + assassination and there was somebody taking the parts of what the man had done that got shot him eh + that shot him and they was following all the things and all that and then + eh this other man went and shot him because he liked the President + and then after that it just ended up that he got took to prison + I can see by my watch, without taking my hand from the left grip of the cycle, that it is eight-thirty in the morning. The wind, even at sixty miles an hour, is warm and humid. In the wind are pungent odours from the marshes by the road. We are in an area of the Central Plains filled with thousands of duck hunting sloughs, heading north-west from Minneapolis toward the Dakotas. This highway is an old concrete two-laner that hasn’t had much traffic since a four-laner went in parallel to it several years ago. When we pass a marsh, the air suddenly becomes cooler. 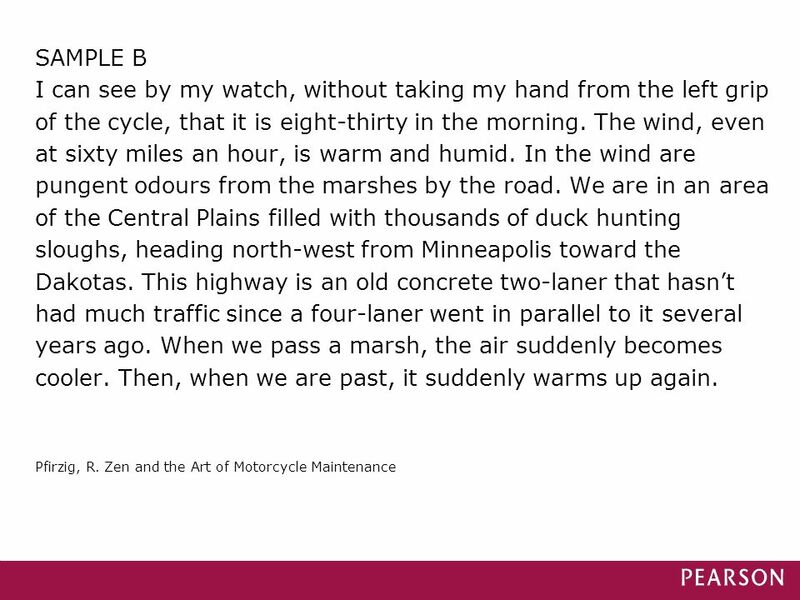 Then, when we are past, it suddenly warms up again. SPEAKING WRITING Language is produced in ‘real time’ - instant retrieval of necessary language from memory. Language is produced without time pressure - retrieval of language from memory can be assisted by reference. Language produced has a ‘looser’ syntax. Language produced has a more ‘rule-bound’, ordered syntax. Grammatical structures are often ‘simpler’ and contains ‘slips’. Grammar is more ‘complex’ and ‘accurate’. 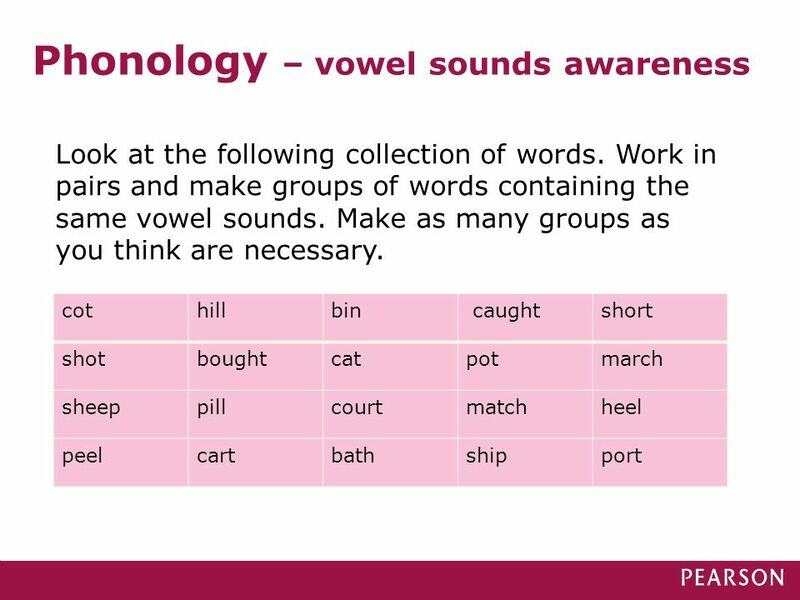 Vocabulary used is relatively narrow in range. Vocabulary used is broader in range. Contains false starts, hesitations, paraphrasing. Language flows in smooth continuous strings - i.e. 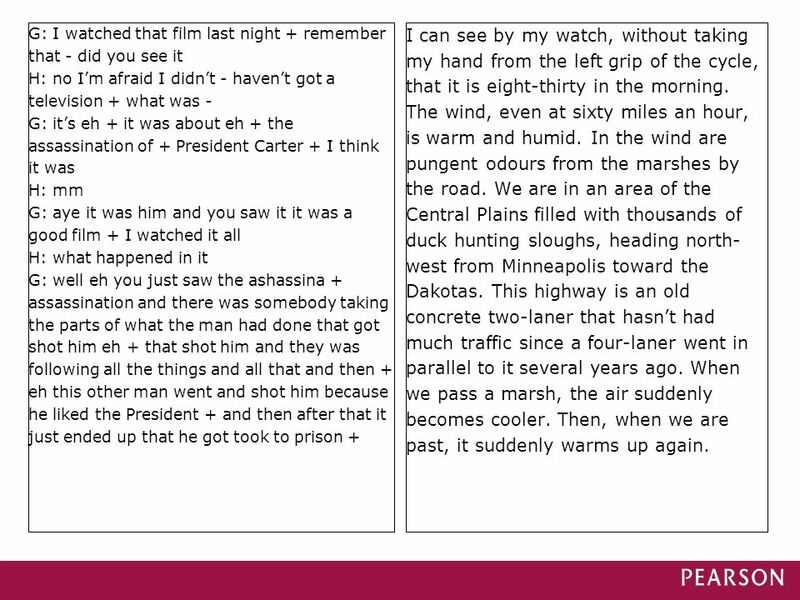 sentences Chunks of meaning separated by intonation, stress and pauses. Chunks of meaning marked by punctuation, and paragraphs. 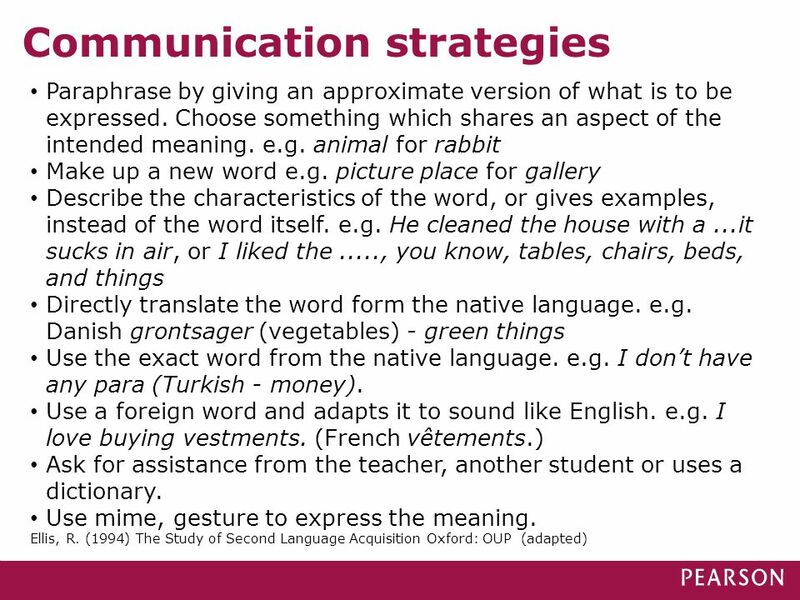 Communication strategies used when difficulties encountered in encoding. 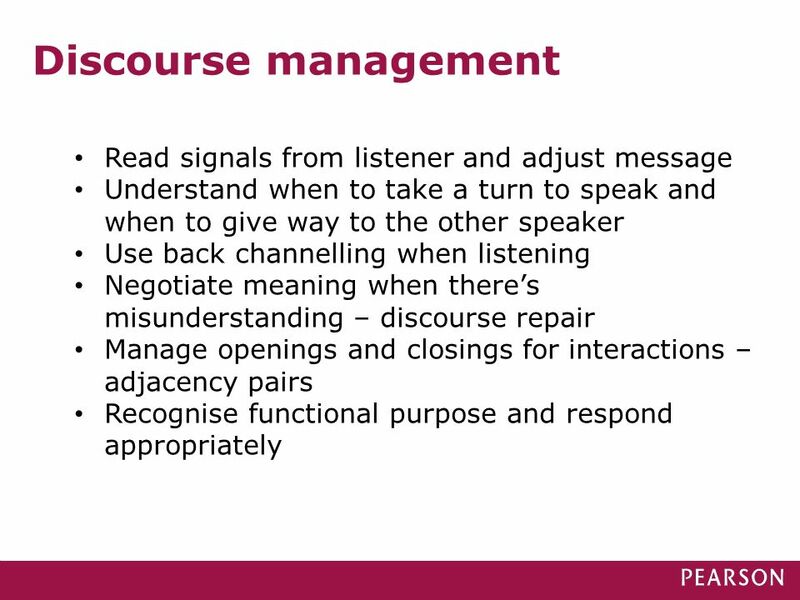 Communication strategies may be used when there is a time pressure (e.g. in exams). Speaking is interactive - the audience is frequently present. Listening also involved. Audience frequently absent, but reading is also involved when reviewing what has been written. 10 Back channel Read this dialogue and identify what is strange or unnatural about it. A: Hello, Manolo, how are you? B: Erm, I’m better, I’m better from my fall in the Lakes A: Why? What happened? B: Erm, we went for a walk in the Lakes with our teacher of English here and we climbed and when we came back from the mountain, I fell and broke something in my elbow… then I went to hospital in the night … but it took 3 hours and I had to wait for the next day …. in the morning I got this sling here you see … it’s not hurting because I have my arm bandaged and the sling keeps it very still, so it’s good… but I don’t sleep so well and get tired B: Can you take a shower? A: Yes, every day. 12 Role A You are going to tell your partner a story about something that happened to you. It doesn’t have to be very exciting or amusing. You could talk about an event when you were surprised, excited or shocked, for example. You can begin by saying “I’ll tell you about something that happened to me….” You must get to the end of your story, whatever happens. 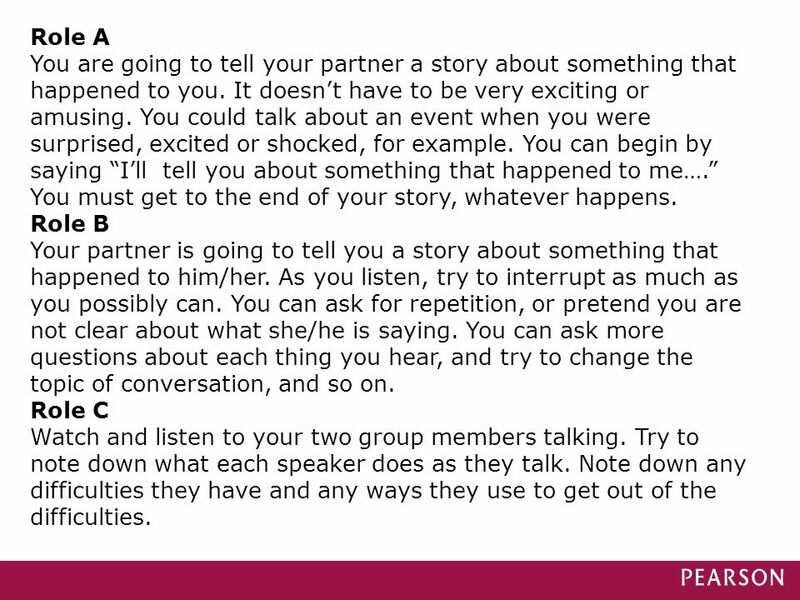 Role B Your partner is going to tell you a story about something that happened to him/her. As you listen, try to interrupt as much as you possibly can. 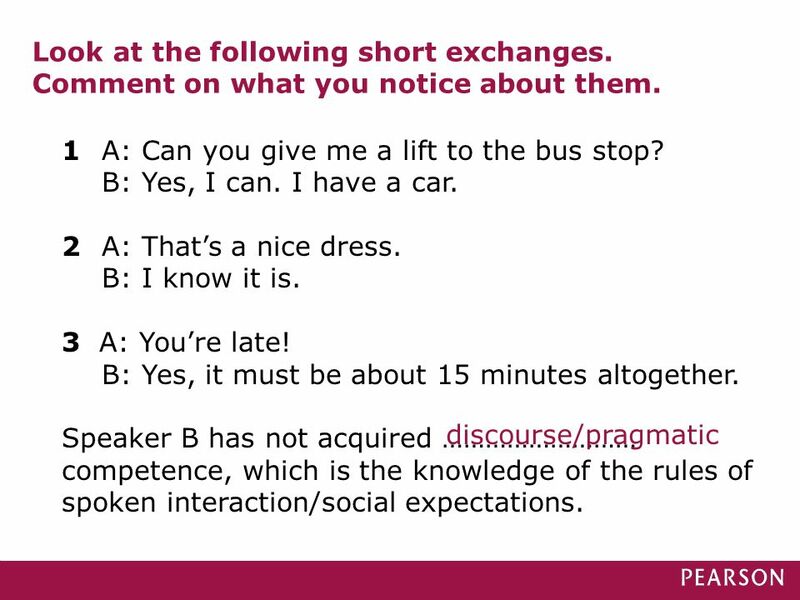 You can ask for repetition, or pretend you are not clear about what she/he is saying. 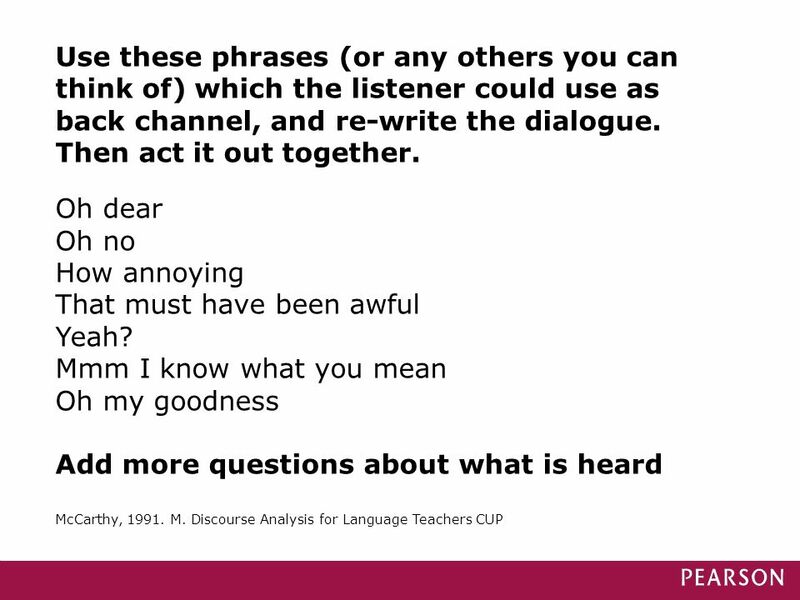 You can ask more questions about each thing you hear, and try to change the topic of conversation, and so on. Role C Watch and listen to your two group members talking. Try to note down what each speaker does as they talk. Note down any difficulties they have and any ways they use to get out of the difficulties. 15 Choose only the pictures of the words you don’t know in English. 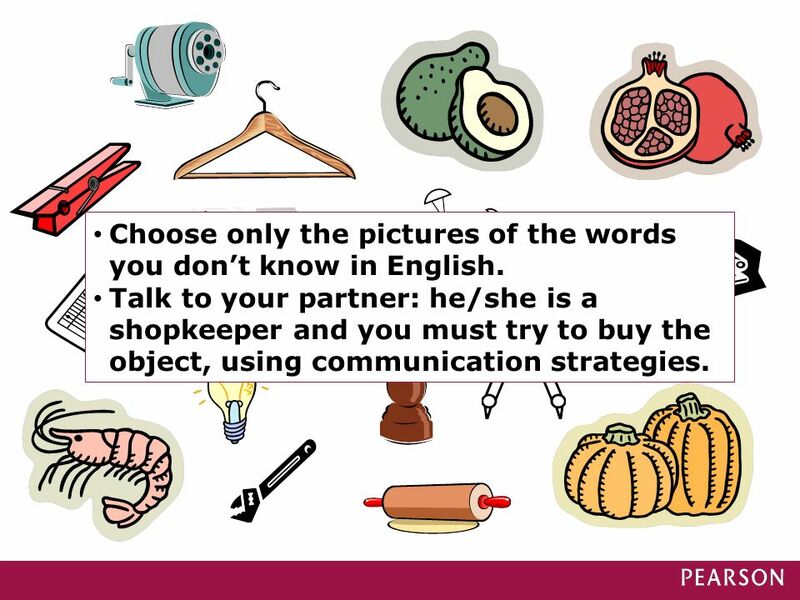 Talk to your partner: he/she is a shopkeeper and you must try to buy the object, using communication strategies. How do you feel about it? Look at the following dialogue. 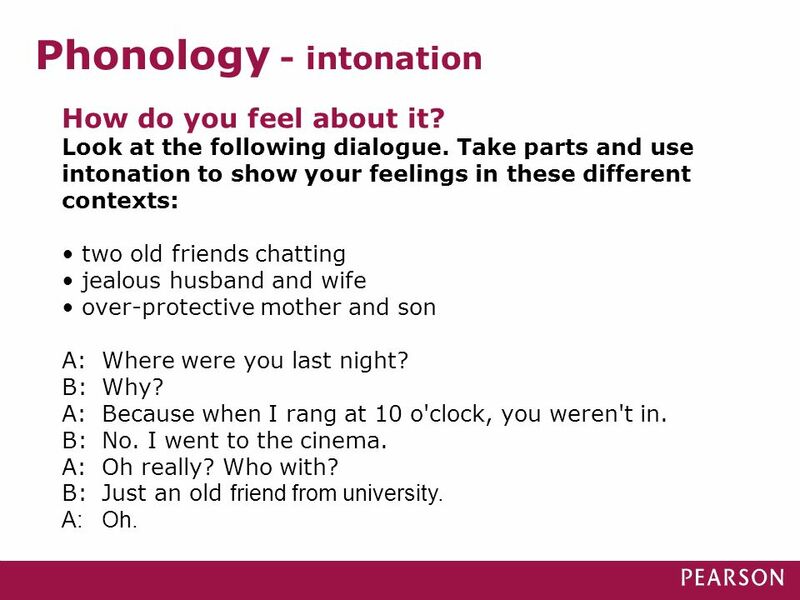 Take parts and use intonation to show your feelings in these different contexts: two old friends chatting jealous husband and wife over-protective mother and son A: Where were you last night? B: Why? A: Because when I rang at 10 o'clock, you weren't in. B: No. I went to the cinema. A: Oh really? Who with? B: Just an old friend from university. A: Oh. Look at these sentences from a description of a wedding. 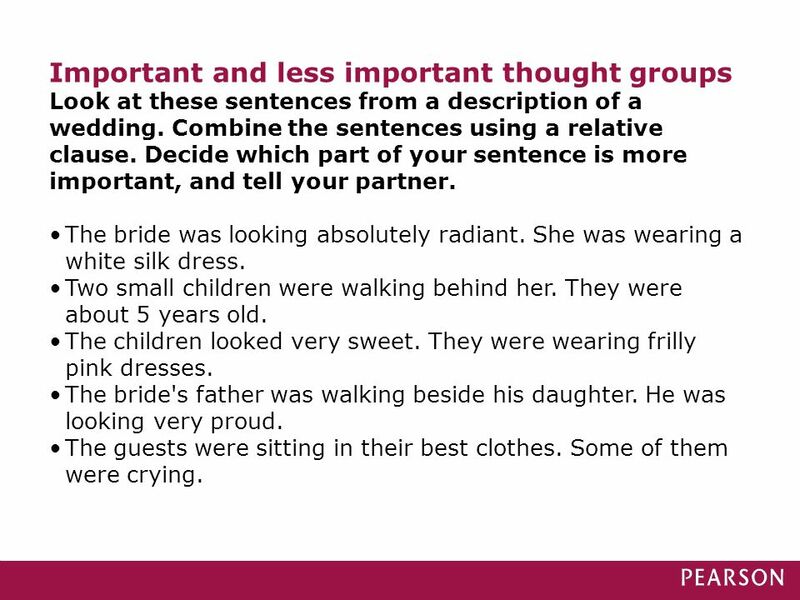 Combine the sentences using a relative clause. Decide which part of your sentence is more important, and tell your partner. The bride was looking absolutely radiant. She was wearing a white silk dress. Two small children were walking behind her. They were about 5 years old. The children looked very sweet. They were wearing frilly pink dresses. The bride's father was walking beside his daughter. He was looking very proud. The guests were sitting in their best clothes. Some of them were crying. Old and new information 1 Look at the dialogues and underline the stressed words. A: I've lost my hat. B: What kind of hat? A: It was a sun hat. B: What colour sun hat? A: It was white. White with stripes. B: There was a white hat with stripes in the car. A: Which car? B: The one I sold. 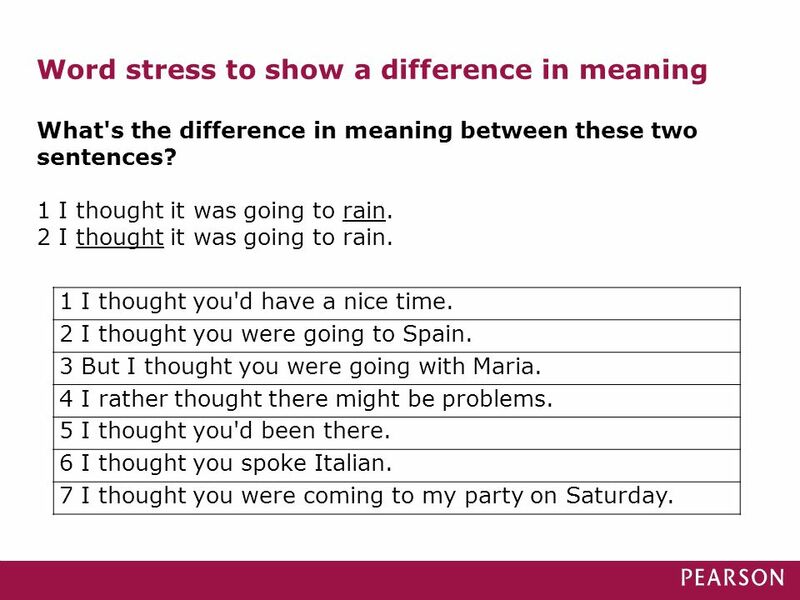 2 Do you notice a pattern in the words that are stressed? 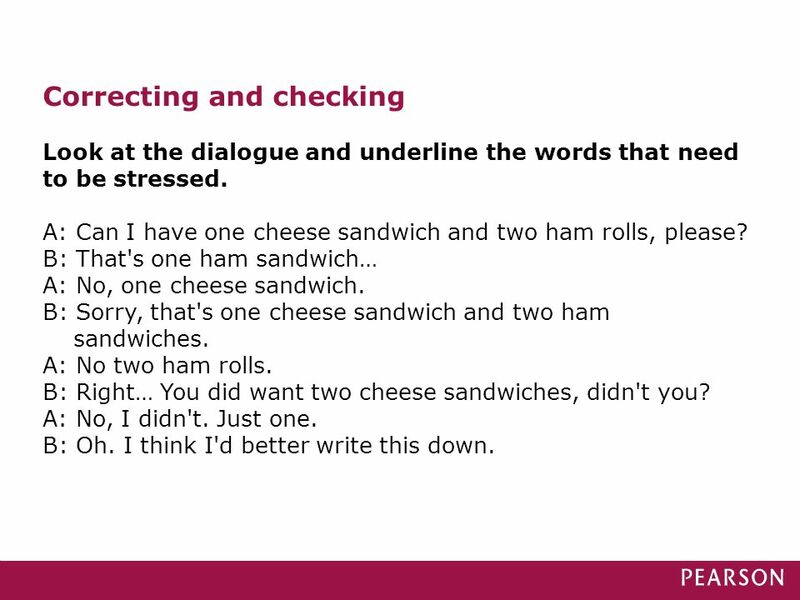 3 Now try the following dialogue, using this stress pattern. A: I want some shoes. B: What kind of shoes? A: Suede shoes. B: Black or brown? A: Neither. I want blue shoes. With thick black soles! Look at the dialogue and underline the words that need to be stressed. A: Can I have one cheese sandwich and two ham rolls, please? B: That's one ham sandwich… A: No, one cheese sandwich. B: Sorry, that's one cheese sandwich and two ham sandwiches. A: No two ham rolls. B: Right… You did want two cheese sandwiches, didn't you? A: No, I didn't. Just one. B: Oh. I think I'd better write this down. 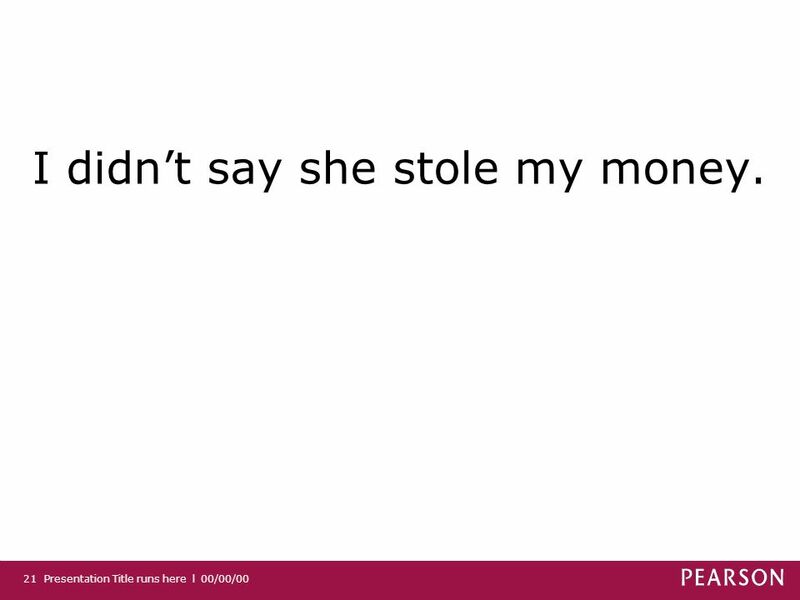 21 I didn’t say she stole my money. What's the difference in meaning between these two sentences? 1 I thought it was going to rain. 2 I thought it was going to rain. 1 I thought you'd have a nice time. 2 I thought you were going to Spain. 3 But I thought you were going with Maria. 4 I rather thought there might be problems. 5 I thought you'd been there. 6 I thought you spoke Italian. 7 I thought you were coming to my party on Saturday. 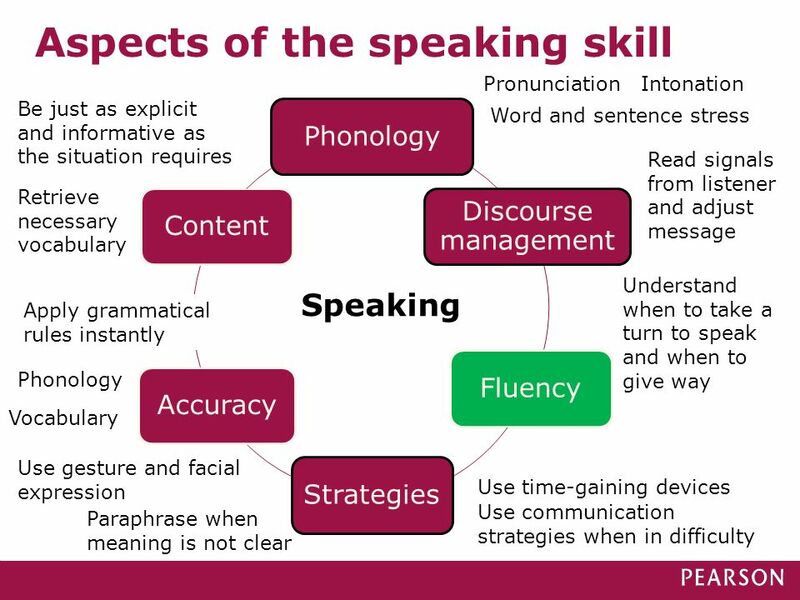 Download ppt "Developing the skills of speaking"
Learning to speak, speaking to learn: how to help students' speaking skills to be both accurate and fluent Chris Morris. 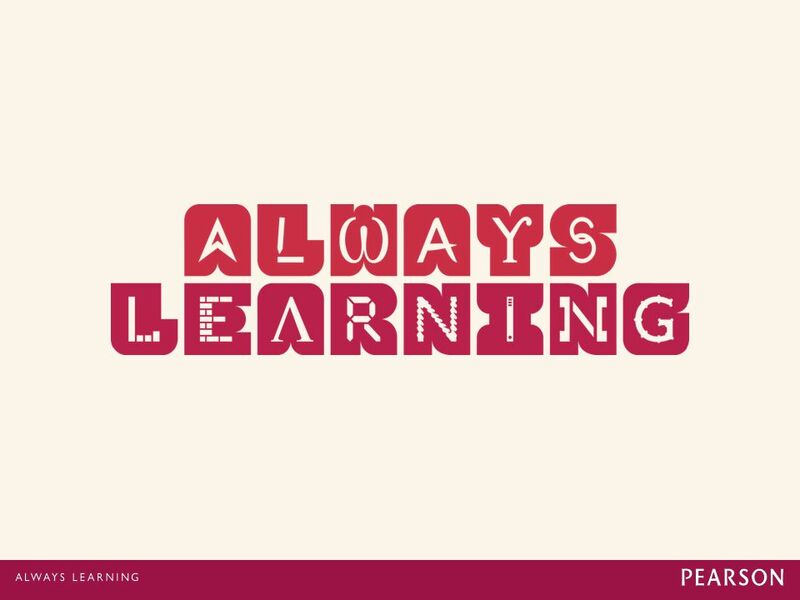 Listening skills: how to train the skill Chris Morris. Rhee Dong Gun. 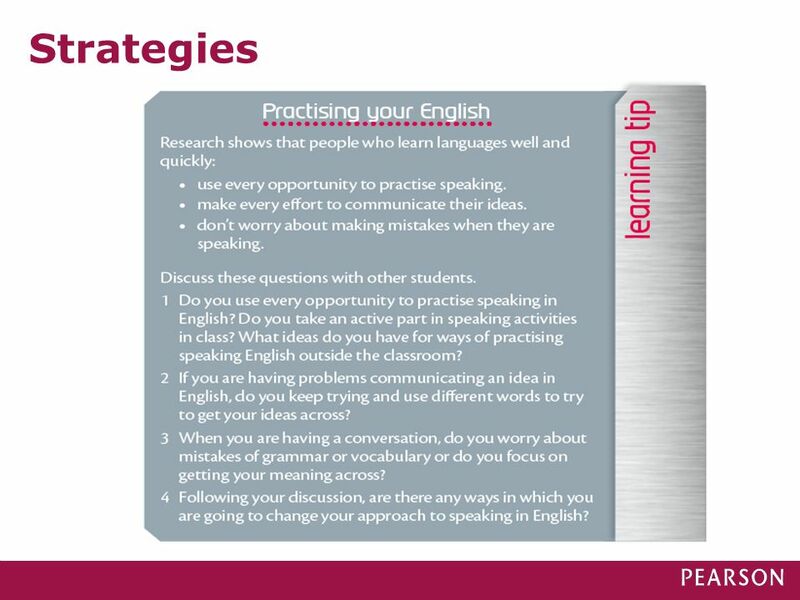 Chapter The speaking process The differences between spoken and written language Speaking skills Speaking in the classroom Feedback. Irregular verbs. 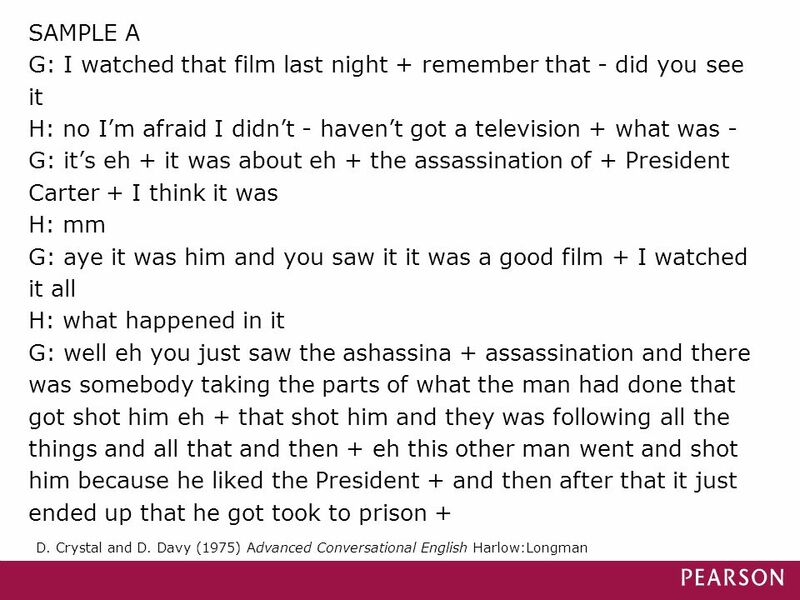 Watch this video lesson for more practice irregular-verbs-with-sound.html. Review the sentences that we have studied in Unit 1 and Unit 2.